Customized combination of Eminence Organics skin care products per skin analysis & needs. Cleansing, toning, one or more treatments, & moisturizing. Massage therapy for the face, neck, shoulders, arms, & hands. Éminence Organics peel and peptide system that awakens the skin using an exquisite blend of arctic berries, lingonberry seed oil, & hibiscus seed extract. Targets aging & hyperpigmentation yet can be used on sensitive, rosacea, & acne prone skin (but not during active acne breakout). Recommended once a month for optimum results or at home weekly with home Illuminating system available for purchase. Cleansing, toning, one treatment, & moisturizing. 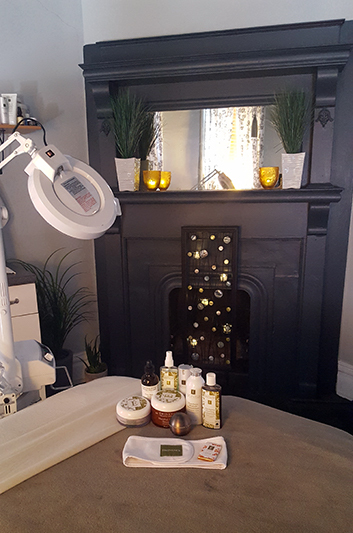 Back and body treatments available utilizing Éminence Organics. Price varies depending on specific needs. Add an enzyme peel to any facial treatment for skin damage restoration, wrinkle reduction, & boosting of cellular hydration. Four-step eye treatment to effectively treat & minimize fine lines, wrinkles, milia, crow’s feet, puffiness, lack of skin tone, & dark circles. Best results with series of treatments over 3-4 weeks & with home regimen. Petroleum and paraben-free. Lip exfoliation, masque, & hydration. With any facial treatment, enjoy additional relaxation with hot towel foot wrap & foot massage. *Please note: Partner pedicures, massages, and facials can be accommodated per request & schedule availability. All prices and service descriptions are subject to change without notice. ©2008 - 2018 Casa Dolce Spa/Anna Wigley. All Rights Reserved. Website Created by Design Intervention.